Blue Next, Oil on Paper, 30 x 44 in. 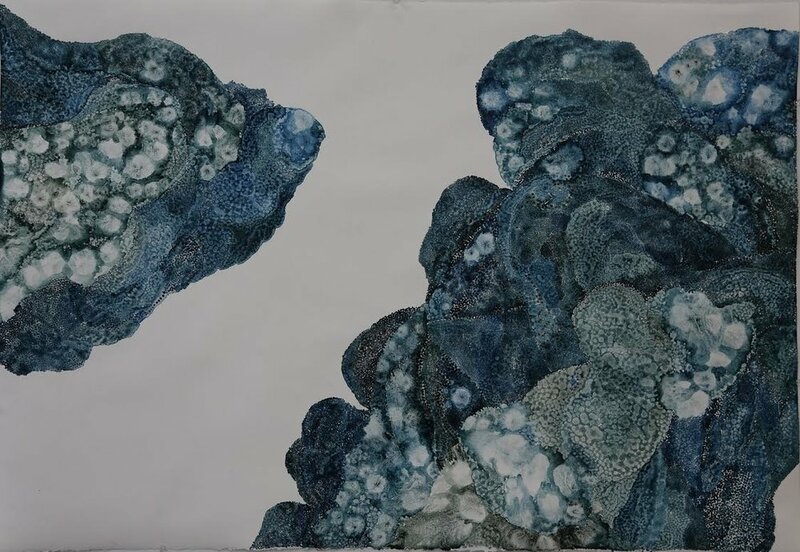 Kaihori creates large-scale paintings to examine the intersections between the physical and internal landscapes, with a special focus on how those landscapes interact with memory and imagination. “I often start my work by running watery paint on the paper surface, staining the paper and making a figure by chance. Observing this figure and then introducing controlled marks and fragments of organic patterns in order to bring the underlying stain to the surface.” Kaihori’s works are a hybrid of figures and abstraction, but also note on the coexistence of intention and chance among tightly controlled lines and brushstrokes.